Add a stroke of modish style to your wardrobe with this pair of palazzos from the house of Varanga. 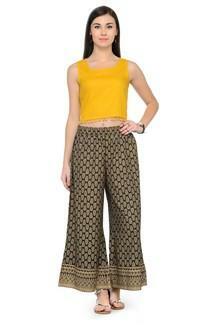 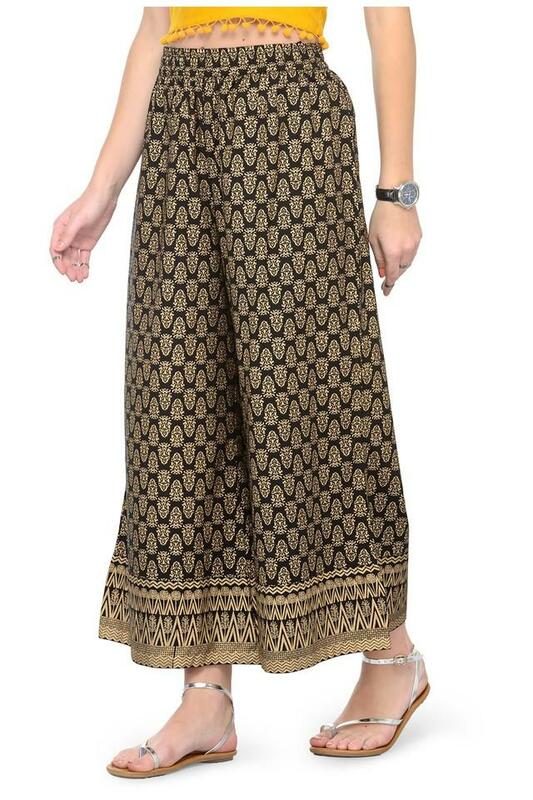 It features a printed pattern along with regular fit that renders it trendy and further gives it some edge. 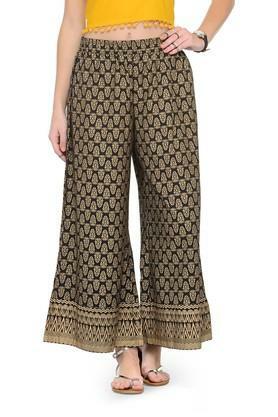 Besides, it promises to offer you maximum breathability, as it is tailored to viscose fabric. Comfortable and stylish, this pair of Palazzos will be an excellent pick for you to wear on any casual occasion. 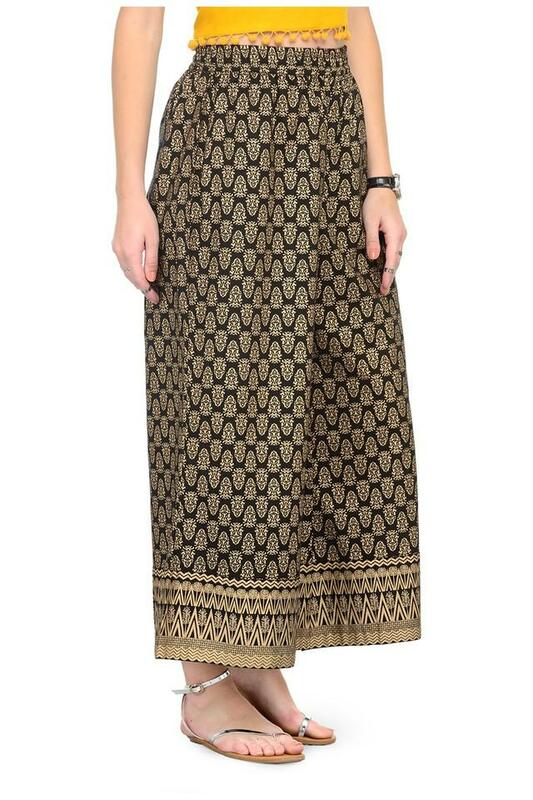 Team it with a kurta and a pair of heeled shoes to make heads turn.